Real time collaboration is one of the basic requirements when the organization is working collectively having distributed teams, freelancers or occasional collaborators. The tool also works efficiently if you do contract work across businesses. The tool easily collaborates anytime, with anyone you want and with any devise and from any location. It is a web based tool, currently in beta and is loaded with impressive features. 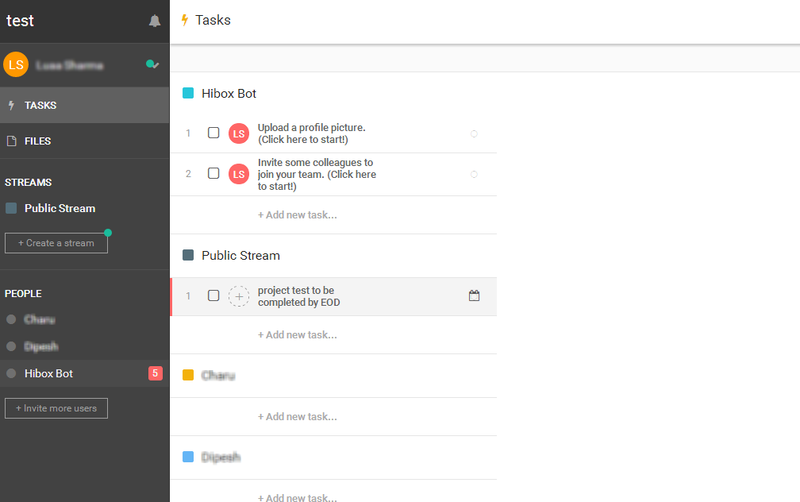 Hibox keeps your team organized with no extra setup required. All you need to do is, just create an account, join in people or collaborators and use it. 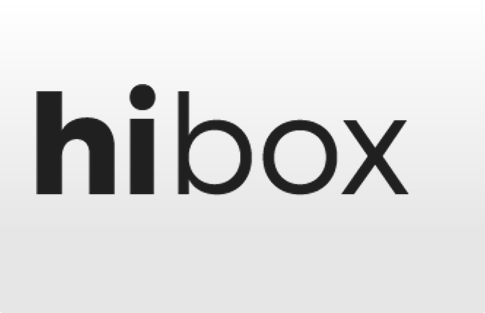 Hibox comes in three editions, i.e. Free, Pro and Enterprise edition. 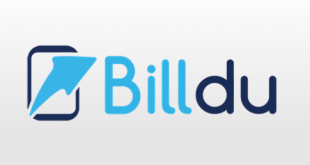 Free: Unlimited users with limited storage, having capabilities of basic task management and basic online support. The user is also able to search recent messages. Pro: The charges for this edition is $4/ month/user. The tool allows you to instantly chat with your coworkers, in a secure and private platform ideally made for business. 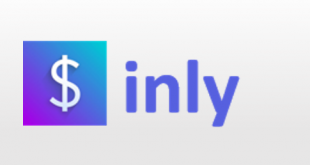 You can create streams and invite users to organize your teams or projects. The tool also have a facility of public room to share company-wide announcements. The tool helps you keep your team focused meeting the deadlines using intuitive task management. You can create tasks effortlessly and assign to specific people setting up the deadlines so you know what the team is doing and what is to be done next in the pipeline. 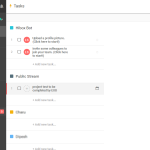 The tools lets you easily assign tasks by just creating to do lists. The AI systems in the tool will instantly recognize patterns from your messages to suggest a perfect task for you. The tool easily integrates with all the external apps helping you keeping all the business information in one place which is instantly searchable and always accessible. Hibox have highly supportive mobile apps for Android as well as iOS devices. This feature connects you to your work anywhere irrespective of your location. The tool is supported with iOS and Android mobile devices so that you can connect to work from anywhere anytime. Integration is one of the most important aspect for a tool. 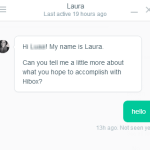 HiBox therefore integrates with various tools to connect he user with a number of business aspects. 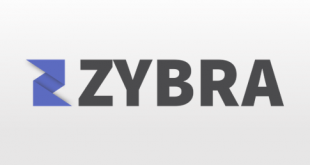 The tool integrated seamlessly for collaboration, file sharing and instant messaging. 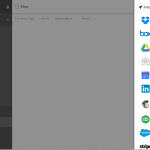 The tool connects to LinkedIn, Mailchimp, Dropbox, Box, Google Drive, Quickbooks, Stripe, Salesforce, Zendesk, Zoho CRM, etc. The tool provides email and chat support for the users. 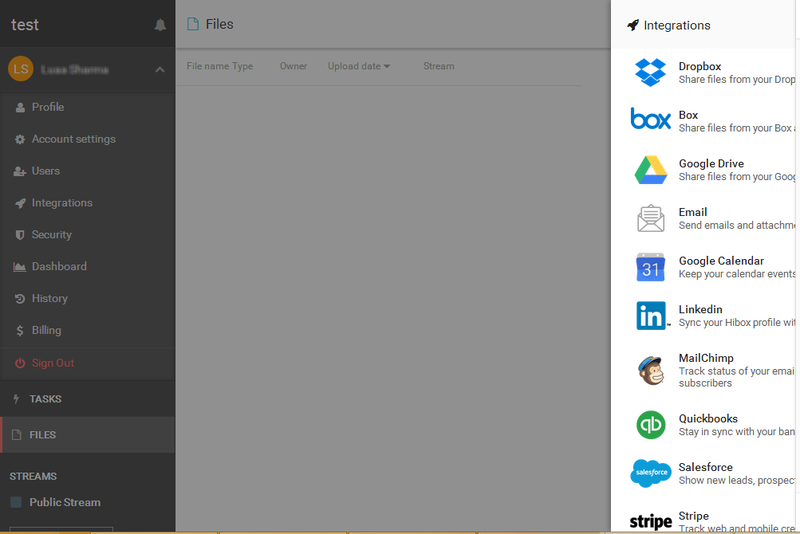 Integrates seamlessly with a number of external applications such as Dropbox, Google drive, LinkedIn, etc. to collect all your business information at one place. Not easy to understand at the beginning but user becomes friendly with experience. 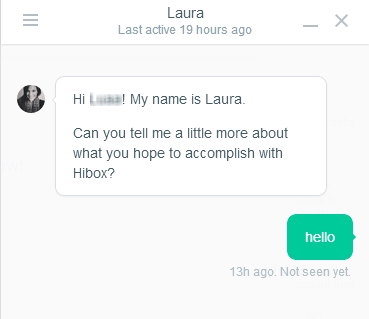 The most outstanding feature for Hibox is its AI that identifies patterns for tasks and workflows observing the comments and type of tasks created and accomplished in an organization. For more details, please visit: Hibox website.